As January winds down into February, those of us who chose to make resolutions have already made them – perhaps have already begun to give up on them. A survey from statisticbrain.com highlights how staying fit and healthy and losing weight in the new year are American’s top resolutions, coming in at nearly 70 percent of all resolution goals. 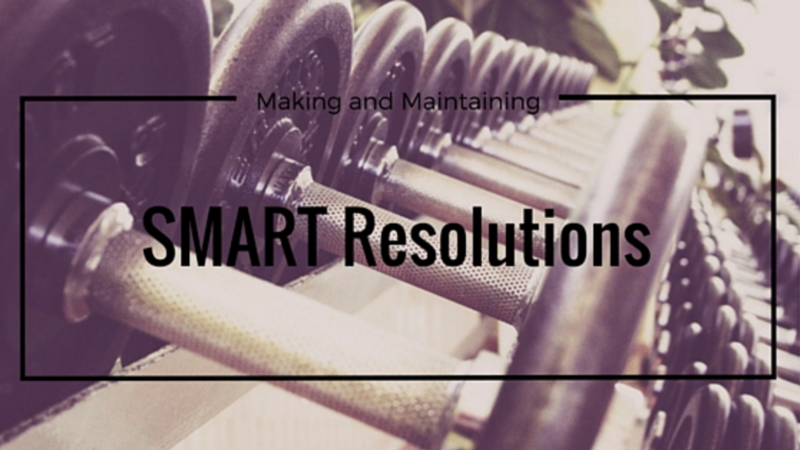 If you need help sticking to your resolution goal, the best way to do it is to get SMART. Getting SMART means setting goals that are specific, measurable, achievable, realistic and time-related – get it? S-M-A-R-T. Healthy diets need to be specific. Saying you are going to lose weight is much too vague – how much? 5 pounds? 15? How would you know if you reached your goal? Better than setting a number, resolve to feel better, be healthier, and have more energy from your workout regimen. Having a goal weight in mind, however, is a great way to make your goal measurable. You can also resolve to fit back into the snug pair of jeans hiding in the back of your closet – it’s not all about the scale. Tracking your goals through your diet is a great way to give yourself little motivational victories and keeps your momentum going. There are a lot of online journals that are helpful in keeping your New Year’s resolution achievable. By tracking your food throughout your diet, you make yourself responsible for everything that you put in your body. A great website (and app) for counting calories and keeping track of your intake is my fitness pal. Don’t set your goal too high. This leads many people down the wrong path because they become discouraged about reaching the end result. Make it realistic; challenging but not overwhelming is key. It is very important to remember that if your goals are not time-related, it will be hard for you to stay motivated. Make sure to give yourself some flexibility to take a day off every now and then. Celebrate milestones, give yourself a cheat day, or indulge in your favorite treat, but stay on track when you do. Another tip to remember when continuing or starting your resolution is to make it a partner pack. Get a friend or family member to join your healthy decision – it tends to keep the motivation and momentum going for longer if you have a partner in health. So remember, be SMART with your resolution, get healthy the right way, and stick with your goals! Visit Klasinski clinic to learn more about healthy living. We treat you like family and personalize your treatment plan to meet your individual needs in a SMART way year round.